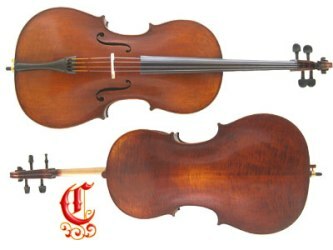 Advancing students For advancing students we offer a choice of new handmade imported cello with high specifications. These provide a reasonably priced alternative to an older antique instrument for students. The cellos are made by hand in small workshops. High quality materials are used, including selected figured tonewoods. Each instrument is personally selected, fitted with Jargar, Dominant or Larsen strings and set up to a very high standard by Anthony Nickolds in the workshop. The cello benefits from: improved strings, shoot and polish the fingerboard refined bridge fit top nut modification for correct string action refit and position of soundpost Note: at this level price is cello only, if you require bows, cases or any other additional accessories please browse the accessory section of the web site or contact us for details.